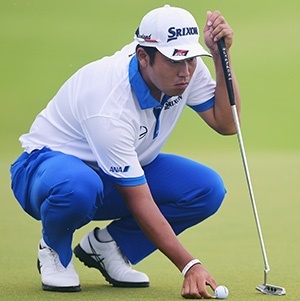 Augusta - Japan's Takumi Kanaya, who punched his ticket to a first Masters appearance with a victory in the Asia-Pacific Amateur in October, has been getting some advice at Augusta National from compatriot Hideki Matsuyama. "I have played two days with Hideki here, and he's taught me many things," Kanaya said Monday as he and Mexican amateur Alvaro Ortiz met reporters. "You know, don't hit it here, or hit it here and there will be a slope that will bring the ball back here. So he's taught me a lot about the golf course," Kanaya said. The 20-year-old from Hiroshima became the first Japanese player since Matsuyama to win the Asia-Pacific Amateur - adding to an already outstanding amateur resume. He was the Japan Amateur Champion at the age of 17 in 2015 and in 2017 he was runner-up at the Japan Open, just one shot behind winner Yuta Ikeda. He played the US PGA Tour's Sony Open in January, missing the cut by three strokes. This week he'll try to become the seventh overseas player to claim low-amateur honours in the Masters - something Matsuyama did in 2011. "Of course, this is my first major. It's a dream I've had since I was little to play in the Masters, so I'm just excited to be here," Kanaya said.